Our popular women’s networking event, Forever Manchester Women, returns on Wednesday 18th January at King Street Townhouse in Manchester. So far the Forever Manchester Women events have raised over £12,000 to support female-led community activity across Greater Manchester. This instalment of the event is kindly sponsored by local law firm Slater and Gordon, and will be hosted by King Street Townhouse. Two weeks ago we spoke to Kathryn Eckersley, our community speaker for the evening. This week we had a chat with Michelle Ball, our business speaker. Michelle started her career as a police officer, aged only 19, with Lancashire Constabulary where she served for 12 years, dealing with everything from the tragic to the hilarious. 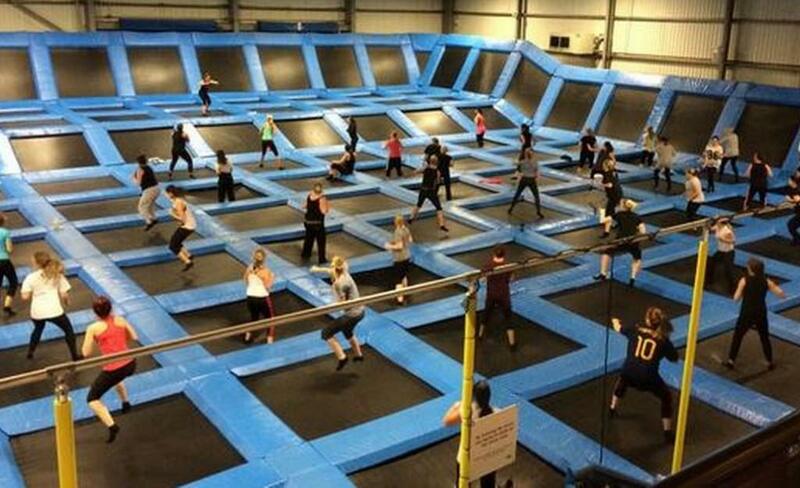 Whilst on maternity leave following this, with a 6-week-old baby in tow, Jump Nation was born! 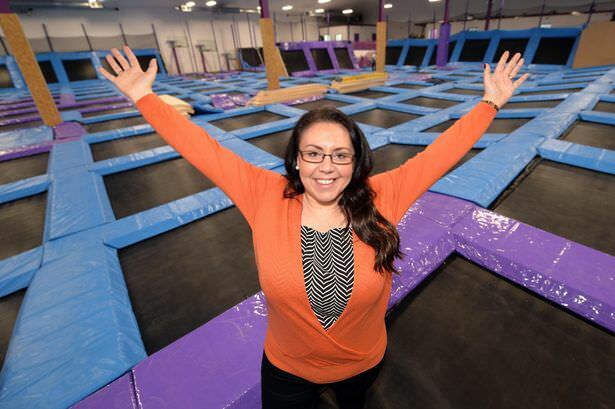 After seeing a trampoline park on an episode of ‘Super Nanny USA’, Michelle and her husband, Matt, had the idea of setting one up themselves. After an amazing first year of trading, Michelle and Matthew were announced as ‘Start-up Company of the Year’ and ‘Leisure Entrepreneurs of the Year’ at the North West Entrepreneur of the Year Awards. It’s safe to say that Michelle’s journey to date has been a rollercoaster ride, with some great highs and some significant lows as well, and still remains a challenge every day – not only as a business, but personally too (as anyone who works alongside their significant other will know!). The diversity of the programmes that are supported by Forever Manchester attracted me to the charity, as it is rare to find a charity that helps to support groups so close to home, making a real difference to the lives of the people you see walking alongside you in the street. Supporting a charity that only focuses on one area of need just doesn’t quite seem enough! I knew very little about FM Women before being introduced to it through the FM charity but, having learnt about the network, it’s a great opportunity to be part of something unique. Having been in business for a few years now – and before it, in the public sector – I have seen first-hand how few women are in senior positions and I think it is important for women to support other women to climb that ladder if that’s what they want to do. In an age of social media, where people are only too quick to judge and pull people down, having an environment of support for one another is so important and needed more now than ever before. Whilst I’m not a Mancunian myself, I have seen all it has to offer. I have policed its most deprived areas and partied in its finest, and chose it as the place to open my very first business. One thing I am sure of is that, no matter where you are within Manchester, the people are friendly, helpful and know how to have a laugh. I love its diversity and how vibrant it is, especially coming from a sleepy town by comparison myself. It always feels full of opportunity and is without doubt the Capital of the North! What’s one thing you’ve struggled with/has surprised you/you’ve enjoyed the most along your journey with Jump Nation? 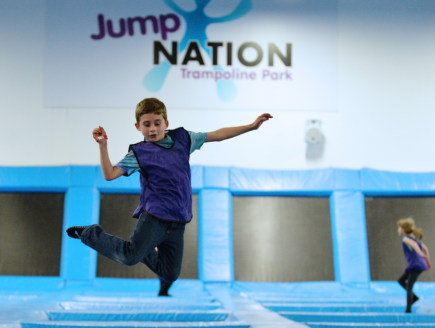 Despite being one of the first trampoline parks to open in the UK, it has been a really big challenge to try and stay at the top of the industry and lead the way when so many competitors have come into the market over the past 18 months. We’ve tried to grow quickly to keep ahead and this has brought its own challenges. All this with a young baby in tow too… we must have been mad! The thing I have enjoyed the most has to be the challenge of it all, bringing a new leisure concept to the UK that has proven to be such a massive success! The learning curve has been very steep to say the least, but it’s worth it to be in control of your own destiny. I truly didn’t realise just how liberating that would be, to no longer have to answer to my superiors and be able to have a family life that the business accommodates. Southport was once a vibrant seaside resort with a mile long high street with Victorian canopies. Like many other towns, it is seeing a dying high street plagued by empty shops and subsequent vandalism. But in the last couple of years there has been a growing community effort to re-invigorate the town centre and put on activities for families to enjoy. This community spirit has spread to the smaller outlying villages of Birkdale, Ainsdale, Hillside and Churchtown. The local businesses in these villages have started to host their events which are well attended by the local communities. It has made people start to consider shopping locally again, which in turn makes the businesses keep giving back to their communities. It is lovely to be part of, as it builds a sustainable community for everyone to enjoy in the longer term.